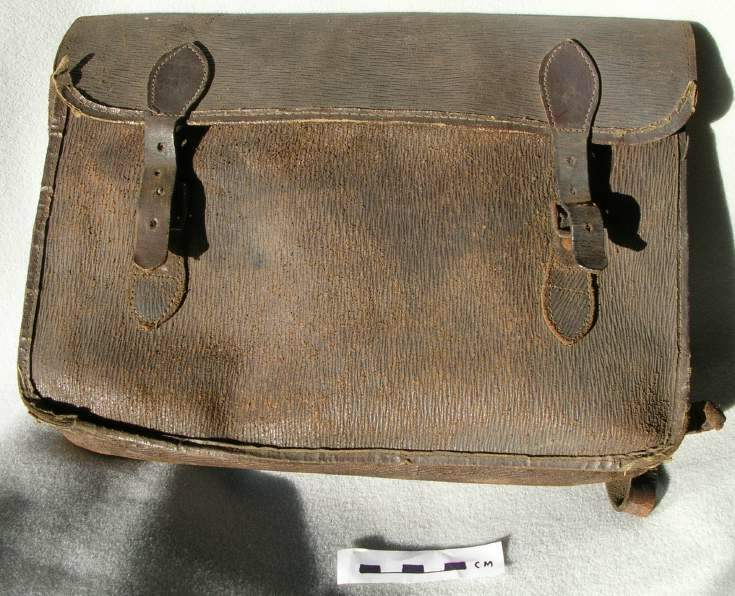 Brown leather school satchel used by John Grant Gordon of Skibo Gates, Clashmore, in about 1936-1937. He later died in an accident. Given by his brother, also John Gordon. The satchel is rectangular, has two shoulder straps and two straps to close the flap. It has suffered considerable wear and tear. Stitched binding missing from edges of front flap, leather dry and cracked, buckles rusty.